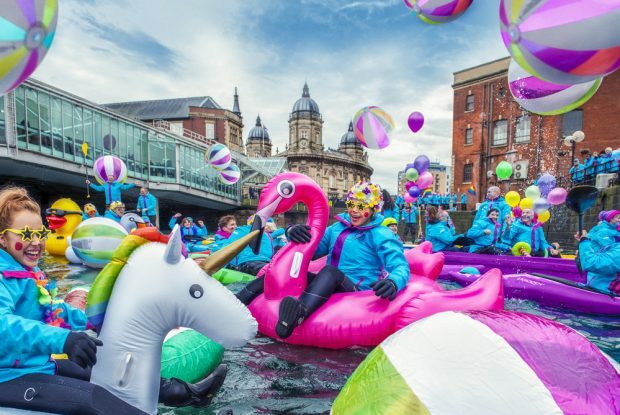 Thousands of scandalous blue volunteers played a key role in the success of Hull’s UK City of Culture year. With their pride, energy and endless enthusiasm, they captured the spirit and personality of Hull across a magical 365 days. Big Picture is a photographic commission undertaken by Leo Francis in collaboration with Chris Fenton. It celebrates the individual characters and collective personality of the volunteers, through three distinct photography series. The exhibition, displayed in Gallery 1, tells the story of a group of people coming together as one to create something that is bigger than themselves. It also shines a light on the characters of individuals, showcasing how their unique personalities combine to define the collective spirit of the volunteer community. Also on show at Humber Street Gallery is Julia Vogl’s Grains Of Scandalous Blue.